New Berroco Books are in! 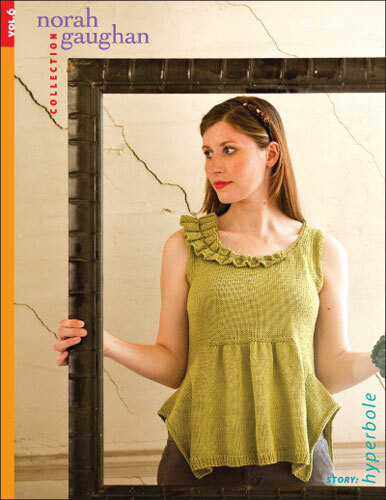 All of the Spring 2010 pattern booklets have arrived including the fabulous Norah Gaughan Volume 6 book! Order yours now so you can be at the height of fashion when Spring decides to bloom! Back in stock! Noro Kureyon and Silk Garden - old colorways and all the new! It was a wonderful day to open the boxes with these awesome yarns! Yeah! New colorways have arrived in the Ivy Brambles Romantica Merino Lace and also in the Ivy Brambles Pure Silk Lace yarns. New colorways in the Pure Silk include the earthy Forest Trail and dreamy Night Sky; Romantica's new colorways include favorites such as Poppies, Maples in Fall and the bold Orchid. Another new pattern has also been released by Ivy Brambles - the Autumn Flame Sock pattern by Patti Waters (yes, another wonderful and fun pattern from Patti!) These luscious socks are made using one skein of Ivy Brambles Sockscene yarn and feature a flaming lace pattern! Very lovely on and off the foot! Need a great idea for some soft comfy mitts? Check out the new pattern for Ivy Brambles Tranquility Cashmere Fingerless Mitts Pattern. 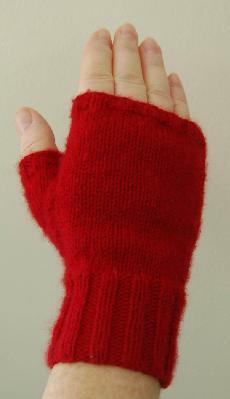 Oh so soft and luxurious are the Tranquility Fingerless Mitts by Donna Haddad in Ivy Brambles 4-ply Cashmere (shown in Fire Red), these easy to knit mitts require less than one skein of Cashmere. Make sure you sign up for a chance to be our next lucky winner for our Prize Giveaway. It's easy! Just go to our website click on the Prize Giveaway link on the right hand margin and enter your info! We will be drawing a new name this weekend and will be emailing the winner and another giveaway will be posted in February! Good luck to all who have entered! Have a great day and stay warm, safe and creative!